Description :-Dead Sea Mud is a Natural Mineral-Rich Product That Is Harvested From The Shores Of The Dead Sea In Jordan. The Dead Sea Mud Mask color vary from the dark grayish or even light gray, depending on weather (mud becomes light gray during summer and grayish in winter) Its Natural Fluctuation . 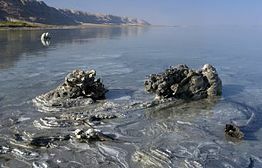 Dead Sea Mud Contains various minerals, especially calcium, silica, magnesium, and iron. Smooth viscous black paste free from grit and sand. Natural distinctive odor. 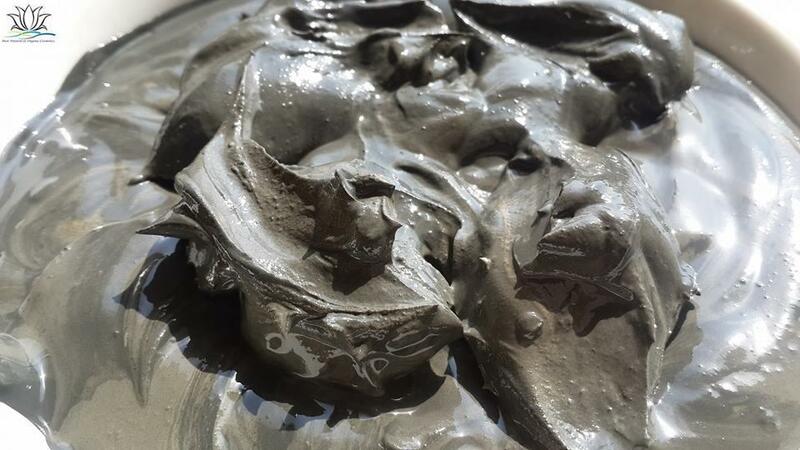 The Original And Naturally Dead Sea Mud Mask . A 100% Pure , Refreshing And Wonderfully Enhancing Mud Mask That Thoroughly Cleanses And Assists Circulation, Leaving The Body Bright And Beautifully Revived. Mud Mask , Natural Products Contains High Natural Minerals from The Dead Sea Which Give your Skin More Soothing & Beautiful Texture . It is often performed at a resort, destination spa, day spa, beauty salon or at homes.Used to detoxify skin and body, and to help in relieve painful symptom of rheumatism and arthritis. Dark in color, blackish / grayish A Natural Fluctuation depending on Season , with oily feel to the touch. It has clear excellent capability cohesion to the skin. The mud has a damp earthy odor. Don’t apply over the eye and /or lip areas. Keep out of the reach of children. Discontinue its use if redness or irritation occur. Direction of Use : For Body Mask - Apply a thick layer In the Needed Area , taking special care around your delicate areas And Wounded Skin , Leave it on skin from 15-20 minutes then rinse off with a warm water. Cosmetic Use : It can be used alone or combined with Other Cosmetics Such as Creams , Shampoo's " for Soap Production , Re Formulated By Manufacturers " and Body wrap for weight lose and skin Treatment . 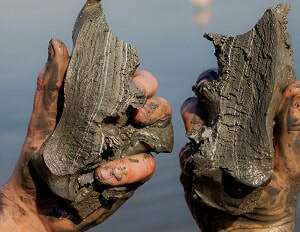 Dead Sea Black Mud Mask is not FDA regulated. FOR EXTERNAL USE ONLY. ​Dark Or Even Light Gray To Brownish , Depending On The Season And Weather Natural Fluctuation. Payment : Based on Proforma Invoice and Bank to Bank only Wire Transfer 50% Upon Confirmation & the Balance 50% Before Shipment based on Draft Copies of Shipment Documents and if we shipping then a Draft Copies of Bill of Lading will be provided via email. Samples : One (Test Samples 3.50 oz - 100 gm ), Is Free of Charged - Picking up the Samples Must be arranged by Buyer - Amount spent on Samples will be completely returned to you in case of doing business with our Company. We hope and wish to have your total understanding on this delicate matter. For Samples : One (Test Samples 2.2 LB - 1000 gm ), Is Fully Charged 180 US$ - Picking up the Samples Must be arranged by Buyer - Amount spent on Samples will be completely returned to you in case of doing business with our Company. We hope and wish to have your total understanding on this delicate matter. Precautionary Measures It is believed that the Dead Sea mud hypoallergenic. Nevertheless, before applying the Mud just in case the mini-swipe test for allergic reactions - apply a small amount of Dead Sea mud on the skin at the site where it is most tender and delicate (for example, near the elbow or behind the ear). If after 5 minutes no skin redness or other manifest alarm reaction - safely proceed to conduct treatments using Dead Sea Black mud.